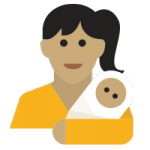 Our goal is to eliminate newborn mortality due to vitamin deficiency diseases by 2030. 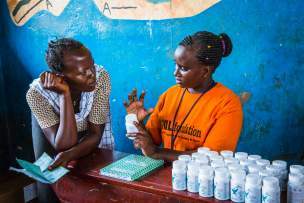 Vitamin Angels will be spearheading a global effort to reduce newborn mortality rates by scaling up its prenatal multivitamin program to meet the needs of 50 million women annually by the year 2030. With an estimated 7,000 newborns dying daily per data released by UNICEF, Vitamin Angels is rallying support to address the pressing need. 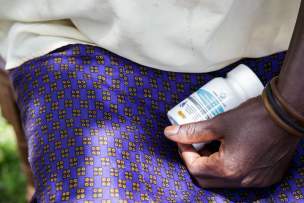 By increasing the distribution of prenatal multivitamins to existing and new field partners across its more than 1,200 field partners, the organization will support improved birth outcomes and save newborn lives on a global scale. DIET: During pregnancy, nutritional needs increase to meet the demands of both the pregnant woman and her growing baby. 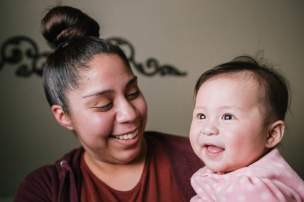 When moms don’t have regular access to healthy foods, the risks to her and her baby intensify. SUPPLEMENTS: Prenatals help support healthy pregnancies, prevent anemia, promote fetal growth, and ensure that babies are born at a healthy birth weight. They are crucial to the health and survival of the growing baby and to the health and well-being of the mothers. Wherever they are, moms share a common focus: making a better life for their children. They may take on very different challenges, but each woman's nutritional needs increase during pregnancy to support her health and her growing child. Moms living in developing countries or with low incomes are the most vulnerable to malnutrition. They make meals out of what’s available, feeding their children before themselves. 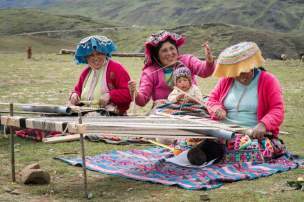 They make traditions that unite their families, passing down wisdom to future generations. They make painful sacrifices that, more often than not, go unnoticed. Hover over the pictures to learn more. Some pregnant women instinctively eat soil to meet their bodies increased need for nutrients – a condition is known as "pica." 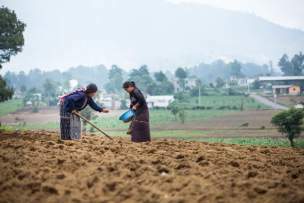 Poor families may be forced to sell their nutritious crops for income and purchase foods that are cheaper and less nutritious. 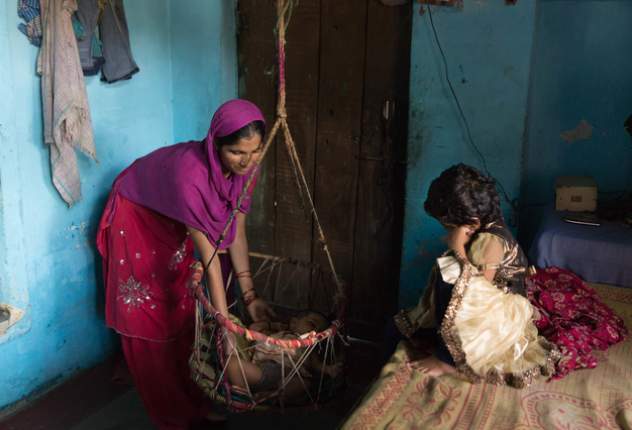 Prenatals can be particularly important in countries where gender inequality denies women access to nutritious foods and appropriate care during pregnancy. Our prenatal multivitamins include folate, vitamin A, Zinc, vitamin D, iron, iodine and others for a total of 15 different vitamins and minerals that are needed to meet daily nutritional requirements of pregnant women. They are manufactured to our formulation and specifications, which are in accordance with those recommended by the WHO and UNICEF. 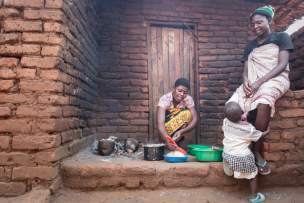 Deficiencies in micronutrients including vitamins A, B-complex, D, E, zinc, folic acid, calcium, copper, magnesium, selenium, and iodine are prevalent in low-income and middle-income countries and can lead to pregnancy complications and poor fetal growth or child health birth outcomes. 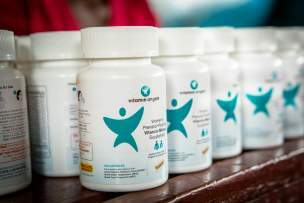 Prenatal multivitamins are the most effective for women who are: anemic, underweight and/or residing in low- and middle-income countries where malnutrition is common among women of reproductive age. Providing supplemental nutrition in the form of a daily prenatal multivitamin, is an excellent way to meet the expanded need. Prenatals help support healthy pregnancies, prevent anemia, promote fetal growth, and ensure that babies are born at a healthy birth weight. Multivitamins are crucial to the health and survival of the growing baby and to the health and well-being of the mothers. * Percent Daily Value (%DV) for Pregnant and Lactating Women. 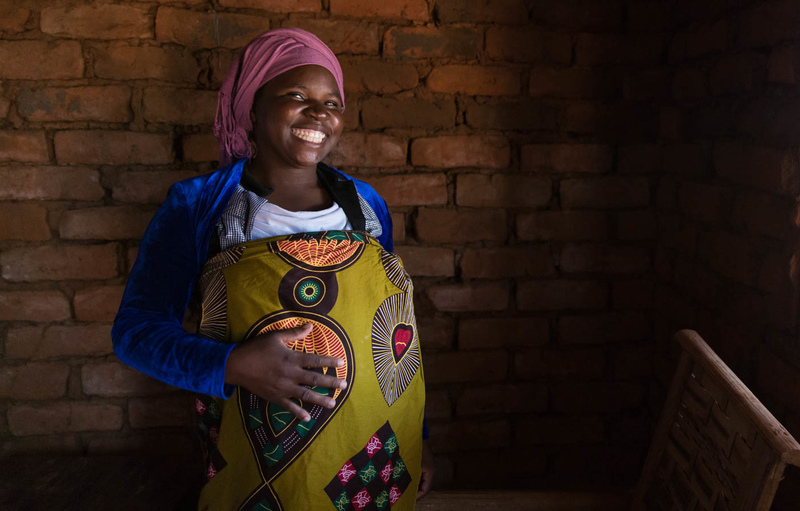 Giving daily prenatal multivitamins to pregnant mothers helps ensure healthy pregnancies and positive birth outcomes. We help build a foundation for good health starting from conception and carrying through the first five years of life. We are working to dramatically scale up distribution of prenatal multivitamins to even more moms in the U.S. and around the world. The first time mother shared what it felt like to become a mom. The Vitamin Shoppe team travels to Peru to assist Vitamin Angels in their goal to end childhood malnutrition. 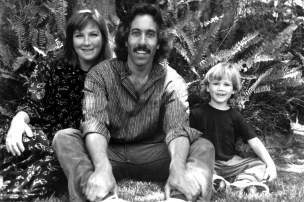 Howard Schiffer, our CEO, started out as a midwife in the ‘70s, where he learned of the importance of prenatal nutrition during pregnancy.